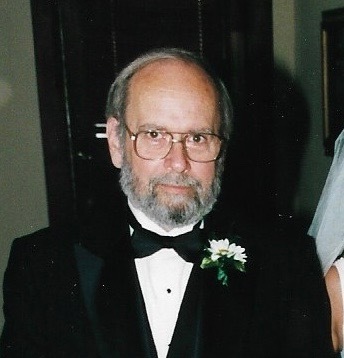 Richard Oran Raffurty, known to his friends as “Rick,” passed away on September 21, 2018, at the age of 77 years at the Kansas City Hospice House. He leaves his beloved wife of 57 years, Linda; sons Richard C. and his fiance Laura Johnson of Liberty, Missouri, David (Sherry) of Kansas City, Missouri, Jeff and his companion Tiffany Christopher of Holt, Missouri; his daughter Cindy Engle of Prairie Village, KS; nine grandchildren Telina Raffurty, Michael Raffurty, Holly Bower, Megan Raffurty, Dillon Raffurty, Justin Raffurty, Matthew Raffurty, Eli Engle, Emery Engle; and four great-grandchildren Kaitlyn Shields, Kaden Finnegan, Olivia Raffurty, and Carter Bower. He was preceded in death by his father Ora J. Raffurty and is survived by his mother Glada Sue Raffurty; his sister Sue McMurry (Robert); and his brother Donald J. Raffurty (Pamela). A native of Kansas City, Rick attended Center Senior High School, graduating in 1960 and immediately began his lifetime career in custom steel fabrication. He worked at American Steel Works for 20 years; Littleton Metal Fabricators for 15 years; and 12 years at Cherry Tree Enterprises prior to retiring in 2008 year. Rick was a member of the Sheet Metal, Air, Rail and Transportation Workers’ Local Union No. 2. Rick’s precise metal fabrication skills fueled his lifelong passion—the automobile. He spent evenings and weekends in his shop with his three sons. They kept busy tinkering, fixing, building, and rebuilding engines, parts, pieces, and anything that came across their workbench. In 1965 Rick and friend Ross Broderick built an Astra kit car. It was one of his lifetime pride and joys that he enjoyed sharing at local car shows and even took 2ndplace at the World of Wheels Premier Custom Car Show. Later in life, the need for speed bit again when Rick built and raced his mod lite/dwarf car from 1994 year to 2007 year. He greatly enjoyed this hobby with all three of his sons as well as his three eldest grandsons. Grandson Justin Raffurty carries on Rick’s #75 every summer weekend at the dirt race track. Rick also enjoyed time with his lovely ladies—his wife Linda and daughter Cindy. Rick and Linda spent many Saturday nights with friends playing cards, in multiple bowling leagues, out on the dance floor country line dancing, traveling from coast to coast with family, and later to Hawaii with friends. Rick was also known to lace up a pair of roller skates to skate with Cindy, took her and her friends “cruising” in his El Camino, and supported her in all her extracurricular activities. A celebration of Rick’s life will be held on Saturday September 29, 2018. The family will receive friends at Noon with a memorial service at 1pm at Park Lawn Funeral Home 8251 Hillcrest Rd. Kansas City, MO 64138. (816) 523-1234. The family suggests donations be made to the Kansas City Hospice House. Don, my thoughts and prayers are with you and all your family during this difficult time. Rick kept my old junkers running during times I hardly had two nickels to rub together. Will always be grateful for his help.